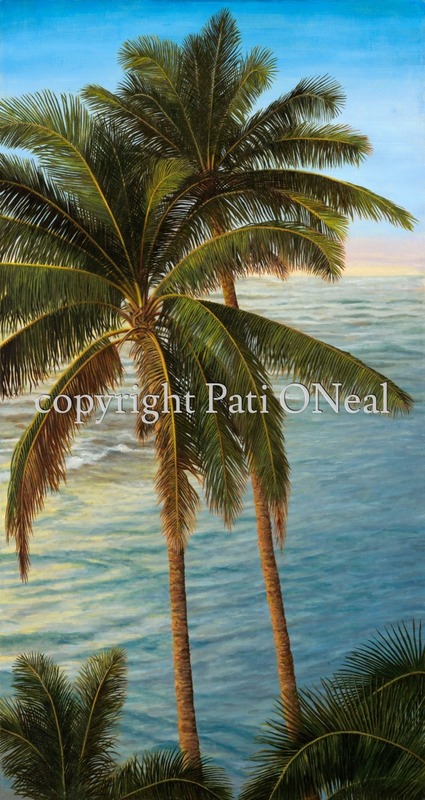 A duo of coconut palms with a backdrop of sky and sea before dusk. Original is sold, contact the artist for a similar commission. Limited edition giclées and ope edition matted mini-prints also available.